Happy new year and welcome back to the Academic Update. This is an important time for students as they receive their mock exam results in Year 11 and their first assessment results in other year groups across the school. 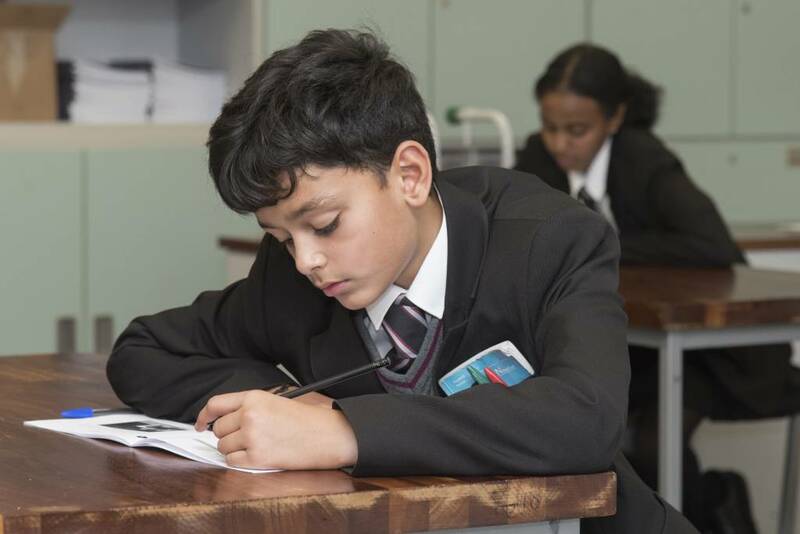 In particular, Year 7 students will be receiving their first academic information since joining the school. This is the minimum grade a student should be achieving. This is based on them being in the top 20% of students of their ability nationally (based on KS2 data). This is the 3Cert award a student should be aiming for and is based on their primary school KS2 data. ‘Not yet achieved’ student has not yet shown any evidence of understanding in this area. ‘Emerging’ student has started to show some early signs of understanding in this area. ‘Developing’ student has shown secure knowledge in this area, but there are still some points for development. ‘Mastering’ student has strong grasp of the work in this area. This is the grade the student is currently expected to achieve. This is a professional prediction based on their recent assessments, Independent Learning (homework), classwork and work ethic. This grade could change over the year depending on how much work and effort the student is putting in. This is the grade achieved in a recent assessment. Please note this reflects attainment in recently studied topics and does not necessarily indicate an overall working grade. This grade could go up and down over the year. These set of grades are a representation of the attitude your child has shown to their learning in each of their subjects. The grid below will help you understand exactly what each grade on the progress check means and what you can do to support your child. Excellent Students behaviour is excellent in every lesson. This means that they behave in an exemplary way and go beyond the expectations of the CAW4B. Student’s effort is excellent in every lesson. This means that the quality and quantity of work is excellent, going beyond the expectations of the subject. Student’s IL is excellent. This means that IL is always on time and the quality and quantity of work goes beyond the expectations of the subject. Good Students behaviour is good. This means that they behave in an appropriate way and meet the expectations of the CAW4B. Student’s effort is good. This means that the quality and quantity of work is good and meets the expectations of the subject. Student’s IL is good. This means that IL is submitted on time and is completed to a good standard. Some Concerns Student’s behaviour causes some concern. This means that, although they can behave appropriately, on occasions their behaviour disrupts their own and others’ learning. Student’s effort causes some concern. This means that effort is not consistently good across lessons. Students do not always meet expectations and sometimes lack effort with the quality and quantity of work produced. Student’s IL is causing some concern. This means that it is not always submitted on time or not always completed to a standard expected by the subject at that stage of learning. Serious Concerns Student’s behaviour is a serious concern. This means that in most lessons they often do not meet the expectations of the CAW4B, will disturb the learning of others and take a disproportionate amount of teacher attention. Their behaviour may also often require the use of the higher levels of the CAW4B. Student’s effort is a serious concern. This means that effort is often poor across lessons and the quality and quantity of work produced fails to meet the expectations of the subject. Student’s IL is a serious concern this means that it is often late or not submitted and fails to meet the standard expected by the subject at that stage of learning. Ask them what their results were, and how that relates to their target grades. So basically, are they on track? Ask them to summarise what their key areas of development are in each subject area. Ask them if they think they need to change the way they are working or how much they are working in advance of their next exams. The next exam week is from Monday 25th March to Friday 5th April. Look out for revision materials which will be given to all students by their teachers, a week in advance of the exams. The Year 12/13 mocks commence on Wednesday 13th March until Friday 22nd March.